I was abandoned at 12 months, in part because I am Hapa. I was adopted in 1963 from South Korea and my adoptive parents were told that I was mixed with GI. 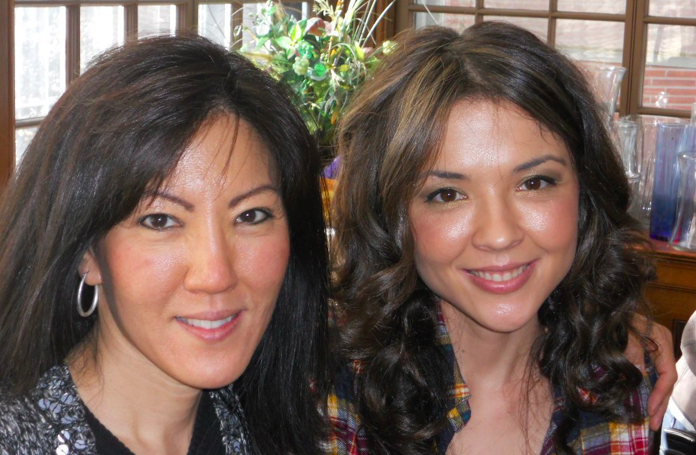 In 2002, my daughter Melissa was diagnosed with Cantonese Cancer (nasopharyngeal carcinoma). She underwent successful cancer treatment at the Mayo Clinic in Rochester, MN. I always knew I was Hapa but I thought I was just Korean and American. But with my daughter’s rare cancer and consultation with a gene specialist I now know that I’m also part Chinese. Now at age 50 I am embracing my Hapa heritage. I am interested in my southern Chinese roots (genes) as there is tremendous research being done in the Guangdong Province related to my daughter’s cancer. Nations must work together in research and medical science to bring healing to people worldwide. Proud to be HAPA and this includes my Chinese roots! In this picture I am with my adoptive father. My lovely adoptive mother passed away in 1999 from breast cancer. Hello! Loved reading your story. I’m a Hapa Korean adoptee from Minnesota. Caucasian / Korean.